The first lessons with students beginning to play the recorder can be trying times. These can be times of frustration, boredom, and occasionally pandemonium. That's why John Riggio and Paul Jennings produced this unique teaching resource. They have created a collection of short, interesting warm-ups and technique builders that will make the journey through the first three notes used in most methods an enjoyable one. 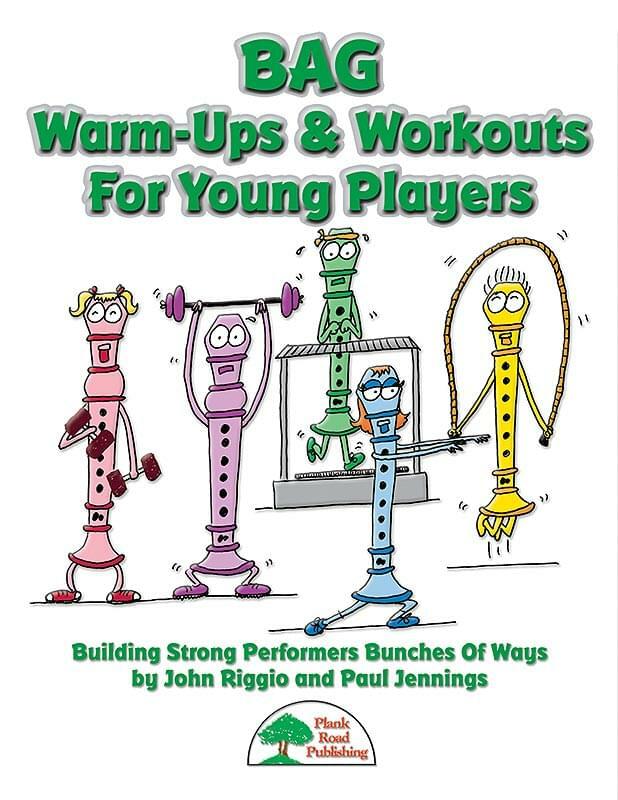 Each warm-up and workout zeroes in on one note or concept, and comes with an exciting, contemporary recorded accompaniment that will make your students want to play them over and over as they learn. Each note gets a workout as do the various combinations in a logical progression. Other workouts deal with the other important concepts for beginning players: breath control, tone production, simple articulation, and hand position. The clever tunes help you reinforce the concepts you are teaching, adding spice and motivation to your first lessons for players who are learning to play a wind instrument for the first time. Each warm-up and workout comes with a reproducible part for your students and with special teaching notes on the concepts involved. This resource is one that you will use for years to come!